Mockana Trading manufactures and imports a range of Decorative Bowls, Stainless Steel Cutlery and Exclusive Corporate Gifts. We also manufacture a range of unique gift packs, wooden cheese boards, pewter products, as well as 925 Sterling Silver, Cultured and Fresh Water Pearls. 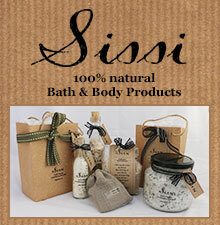 Bath Bakery is a retailer and wholesaler of aromatic handcrafted artisan soaps and bathroom pamper products. As a job-creation project for Xhosa women, we manufacture handmade curios, jewellery and beadwork. Secure your windows and doors with Locklatch. Importers and wholesalers of exquisite painted wooden toys.